2.1 Which is the Right Headlight Bulb for Your Car? 2.1.1.1 How do Halogen Headlight Bulbs Work? 3.1 What is a Headlight? There’s a rational reason why cars and other vehicles must have headlights. Headlights aren’t just an optional luxury automobile part; they are an integral component of the whole vehicle system. As a driver, you may have mastered the art of driving a car, but it does not matter how skilled you are at driving if indeed you can’t see where you are going. 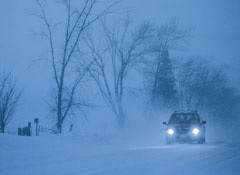 Without headlights, we would all be jammed in our homes when night comes or when it begins to rain, snow, or become foggy. Headlights are important in that they enable us to drive our vehicles even when it is dark. We have created the best halogen headlight bulbs guide to help you in selecting the headlights that are right for your car. This guide provides the description of a headlight; makes clear its primary function, the importance of headlights as well as the halogen headlight bulb reviews. It will evaluate the three main types of Headlights: halogen, xenon, and LED and also discuss the lighting technologies behind these kinds of headlights. This guide precisely provides a summary of the many benefits and drawbacks of every kind of headlight. It will discuss in depth what type of headlights may be suited to which buyers, predicated on their priorities and needs. 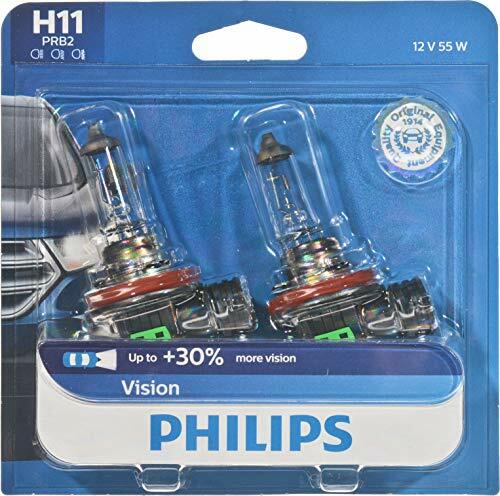 From the halogen headlight bulbs reviews below, you will come to find out that this is the best halogen headlight bulb you can get in the market for your car. We have selected the Sylvania SilverStar Ultra for a couple of reasons which we are going to explain to you in details. First of all, these bulbs don’t promise to appear to be like HID bulbs just like numerous others do. The SilverStar Ultra’s will last longer and give off a good white light that comes close to 5K. While some others can do the same, these bulbs are not your regular yellow tinted halogen lights. Overall fitment is not that bad, you can set them up into 9003, HB2, H4, 9004, 9005, 9006, 9007, 9008, H13, H7 and h11 connectors. 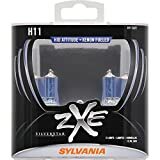 From the complete line-up from Sylvania, they are really the strongest bulbs you can get (coming very near the zXe’s ). Overall price is at around 30 us dollars. With more than 3,800 buyer reviews, these bulbs should offer you some solid satisfaction even before trying them out. This set of two regrettably does not come compatible with many headlight bulb holders. The sizes that can work with these bulbs include, H7 55W, H1 55W, DS3 and H4 60/55W. Nevertheless, they DO offer you a noticeably better outcome when compared with the Philips Vision Upgrade that I am going to mention later. According to Philips, they have a light distance of up to 45 meters which is approximately 147 feet away. Installation is merely as easy as any other lights we’ve mentioned up to now. 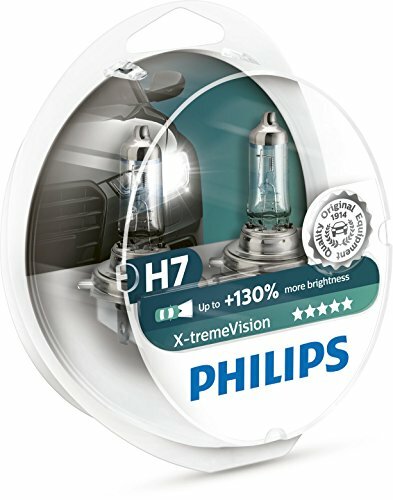 The Philips X-treme Vision +130% Headlight Bulbs also creates a more centered white colored light which widens visibility — especially at night, thus making the beams more concentrated and multiply uniformly. They can be perfect if you are traveling through lit roads. It is an Award-winning halogen bulb which can be an inexpensive yet beneficial upgrade that delivers essential sidelight to identify some deer lurking by the roadside. From over 300 user reviews and scores, this model interestingly received a higher recommendation. 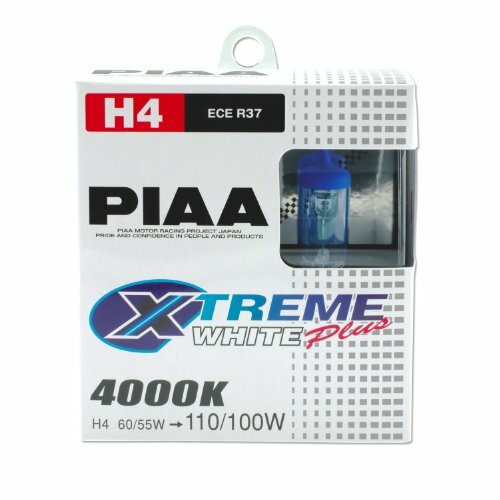 Creating a very clean white light and being DOT (Department of Transportation) and SAE (Society of Automotive Engineers) rated; the PIAA Xtreme White won’t leave you worried about getting stopped by the authorities for using high-wattage lights. It’s not only safe and rated but also stylish enough to ensure that you will always get that clean white light you dearly need for your daily drives and splash on some style to your vehicle with the razor-sharp look the lights provide when lit up. This light bulb generally lasts much longer than most but it pays off to have a spare in the event one bulb goes out. 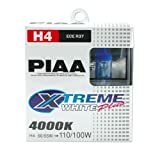 Overall, the PIAA Xtreme White is not too dazzling to bother the authorities or your fellow motorists and it offers you maximum visibility, using its white light and a marginally blue tint makes the whole difference –especially if you have stray deer or elk in the neighborhood. 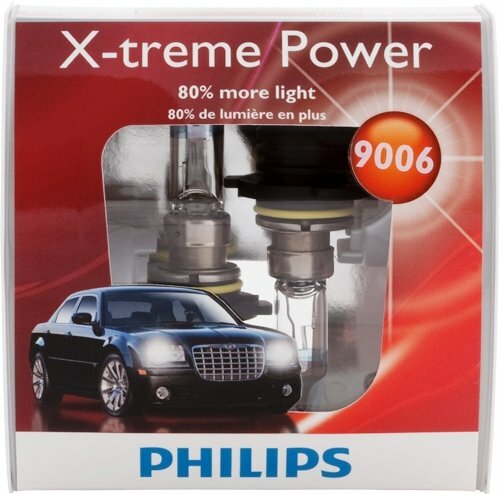 The PIAA Xtreme White offers a good deal because of its price and is obviously among the TOP rated halogen headlight bulbs in the market. If you are looking for practicality and an extended life span, then this bulb is the right halogen headlight light bulb for your car. It isn’t whatsoever that pricey and produces a superior quality beam of light with a wider beam pattern that makes it worth the money. The Philips X-treme Electric power Headlight Bulbs create a more centered white colored light which widens the area it can cover — especially during the night, thus making the beams more centered and distributed uniformly. They can be perfect if you are traveling through underlit roads. Using their precise position, these award-winning bulbs can be an inexpensive yet worth it upgrade that delivers essential sidelight to identify animals or even dangerous objects lurking on the roadside. Also, being among the finest halogen headlight light bulbs, the bulbs pledge the comfort and basic safety of nighttime and, when needed by daytime motorists. These bulbs are a slight upgrade from their normal stock of halogen light bulbs you’ll get from Philips. The special thing about these halogen bulbs is the fact that you can expect a 30% increase in the distance of light and around 3200K of light end result. Having said that, it is important to note that these bulbs are not going to produce the bright white light you may want. Moving nearer the 5K mark as much as possible can be exactly what will provide you with the desired results. Nevertheless, for less than 20 us dollars (2 pack) you have no reason complain here. You’ll get noticeable improvement from your factory light bulbs and compatibility with several sizes such as 9003, 9004, 9005, 9006, 9007, H7 and h11. Installation is simple, within 5-10 minutes you should have your new lights installed. Remember never to touch these light bulbs with your bare hands (use latex or nitrile gloves). These are undoubtedly one of the brightest halogen light bulbs you can get that are not quite HID’s. Sylvania’s SilverStar zXe High-Performance Halogen Light bulbs produce a brighter and whiter output of light, something that you’ll not find in regular halogens. The blue tint of the bulbs would provide you with the assumption that its light would be in any manner blue… however, that won’t be the case. Unlike regular lights where a yellowish color of light is emitted, with these bulbs, it’s a far more identified white color (something that you’d typically find with temps at around 5K). Compatibility isn’t an issue, you will get them to match 9003, 9004, 9005, 9005XS, 9006, 9006XS, 9007, H1, H11, H13 and H7. They will be the priciest lights you can reach under 45 us dollars for a pack only of two. 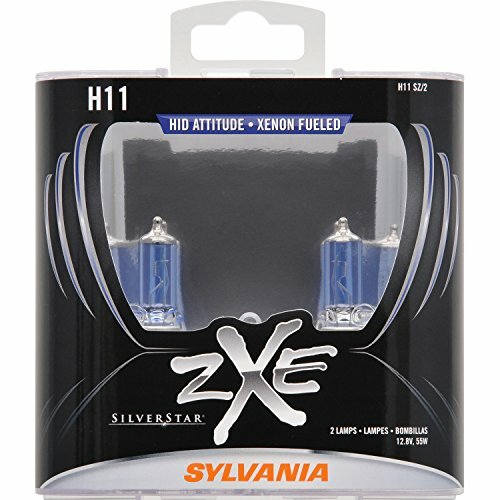 For the brightest “factory” style halogen bulbs, the zXe’s by Sylvania are your very best bet. 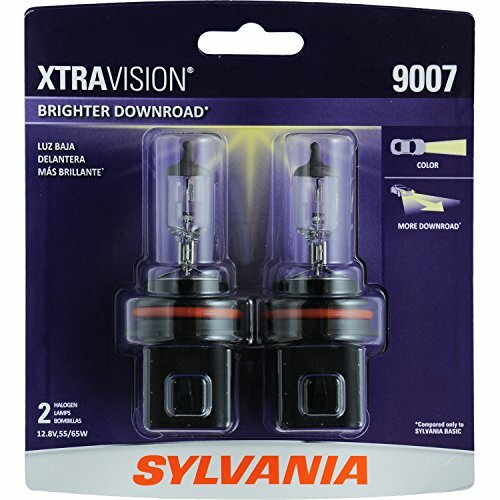 Being the best seller on Amazon under the halogen headlight category, the ExtraVision headlights are a far greater upgrade in the budget category. They are usually priced at significantly less than 15 us dollars for a pack of two. 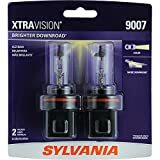 What you get from the XtraVision light bulbs is improved overall lighting from all directions left, right & most importantly the area ahead of you. In the situation of compatibility, they will fit in 9006, H7, 9007, H4, H13, 9005, H11, 9004, H1 and 9003 models. A couple of hundred users have graded and researched these lights, with an extremely good overall credit score. Although the price shall rely upon the size you get, don’t be prepared to pay more than 20 dollars for a pack of two. 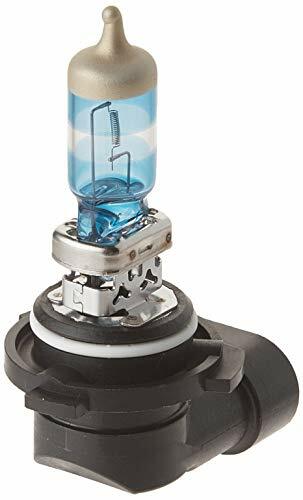 As the first group of halogen headlights, the GE Nighthawk Platinum light bulbs will be of course the first ones we look for if old factory bulbs don’t get it done. They are some of the least expensive bulbs we’re able to find, being significantly less than 11 us dollars for a pack of two. This set can be appropriate for bulb sizes which range from H4, H7, H11, 9003, 9004, 9005, 9006 and 9007. In addition, these bulbs provide out the more defined “white” light halogen light bulbs should have. Installation is quite very easy, taking significantly less than 10 minutes for any 2 bulbs to be installed totally. If you really do not want to invest much for a couple of bulbs, the GE Nighthawk Platinum Series Halogen bulbs should be a strong consideration. Another great plus for these headlights is, although having a very bright white light; they will not blind your fellow drivers. A recommendation when using this product is to always match both high beams and low beams with the same kind of bulbs to increase their efficiency and design. 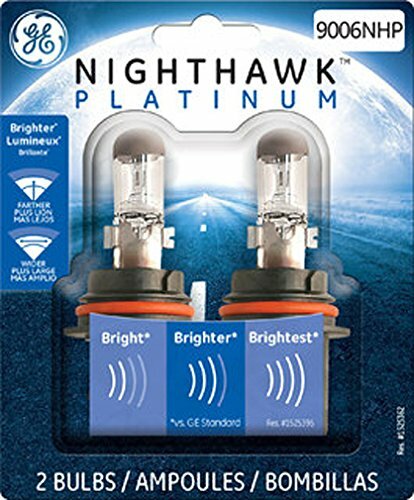 Additionally, when using its white light, the NightHawk Platinum Halogen Light bulb is reported to boost one’s driving a vehicle by exposing clearer colors of things that come in touch with its beams. 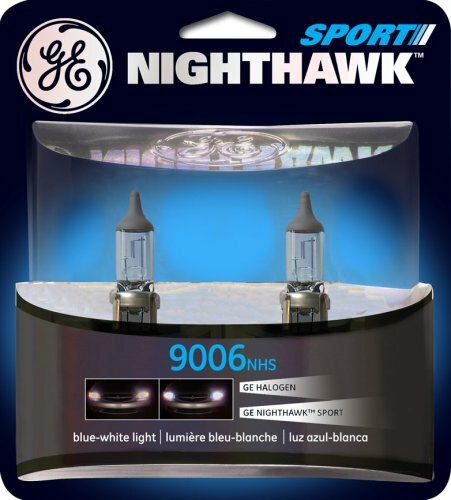 From street signals and obstructions to unusual humps and slots in the street, the NightHawk SPORT Halogen Light bulb is, without doubt, one of the halogen headlights that will literary light all of your way home. It might seem as if the tint on this headlight is blue but that is not the case upon close inspection. The NightHawk SPORT Halogen Lightbulb is straightforward, cheap to find and buy. It has a beam color of white rather than blue when viewed from a distance and has a long and wide reach when it comes to visibility — which is vital if you are driving during the night with the likelihood of wildlife lurking on the roadside. It increases the levels of safety for both the driver and the incoming vehicles using its wide field of view and clear beams. Another great advantage with the headlight is that despite the fact that it has bright white light, it will not blind your fellow motorists. The NightHawk SPORT Halogen Lightbulb is reported to boost one’s traveling environment by exposing clearer colors of items that come in touch with its beams. From street signs, obstructions to unusual humps and slots in the street, the NightHawk SPORT Halogen Light bulb is without a doubt one of the halogen headlight lights that can light the journey literally. All headlights have the same primary function, which is to light up the road ahead of the vehicle. However, they vary in types and the precise light types they provide. The three main bulbs used in car headlights are halogen, xenon, and LED. 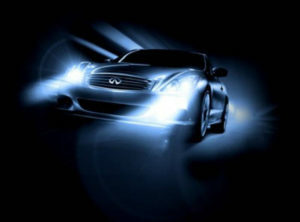 Typically, Headlights are classified in line with the particular lighting technology that they utilize. So, which is the best bulb for your car? Which is the Right Headlight Bulb for Your Car? We are now going to look at each bulb and review it inside out without bias or prejudice whatsoever. Halogen is a gas found in a group of five chemicals that are incredibly reactive and poisonous. These chemicals are chemically classified as non-metals. Halogen bulbs have for long been being used in vehicle headlights. Each bulb contains a thin tungsten filament and a glass filament capsule which is filled up with halogen gas. The gas routes within the tungsten to the filament so that it regenerates the filament each and every time the headlight is fired up and used. A halogen light produces a dazzling, white light. 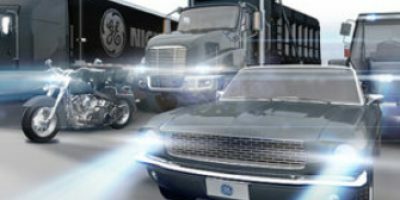 How do Halogen Headlight Bulbs Work? A halogen lamp functions identically to an incandescent light bulb, with one significant exclusion: The halogen pattern. In a standard incandescent lamp, tungsten gradually evaporates from the burning filament. This causes blackening of the lamp, which decreases light output and reduces life. Interestingly, Halogen lighting fixtures are fundamentally in a position to eliminate this issue because the halogen gas reacts chemically with the evaporated tungsten to avoid it from affixing itself to the glass. Some tungsten is delivered to the filament, which serves to raise the rated life of the lamp also. Since the temperature necessary for this reaction is greater than an average incandescent bulb, halogen lamps must generally be made using quartz. Halogen lamps are being used in a number of applications, both residential and commercial. Halogen lamps are being used in automotive headlamps, under-cabinet lighting, and work lights. Furthermore, halogen reflectors like MR and PAR lights tend to be preferred for directed lamps such as spotlights and floodlights. Also, they are increasingly being utilized as a far more efficient option to incandescent reflectors. There aren’t many situations where halogen lamps can’t be used, but one potential downside is heat made by halogen lamps, particularly in areas where HVAC costs are a problem. Halogen lamps are being used in some applications, both residential and commercial. They are being used in automotive headlamps, under-cabinet lighting, and work lights. Moreover, halogen reflectors like MR and PAR lights tend to be preferred for directed lamps such as spotlights and floodlights. They are also increasingly being utilized as a far more efficient option to incandescent reflectors. There aren’t many situations where halogen lamps can’t be used, but one potential downside is heat produced by halogen lamps, particularly in areas where HVAC costs are a problem. Xenon headlights, officially known as high-intensity discharge headlamps (HIDs), are thought of a far more useful solution, mostly due to color temperature and the quantity of light they produce. The first xenon headlight came out on the BMW 7 Series in 1991 and slowly and gradually became the main option for many car companies, which resulted in providing it as standard equipment. HID bulbs work just like your neon pipe in the basement. You have a tube filled up with gasses, an electrode at each end and an electric current passing through it. In vehicle applications, HID lamps are using transparent quartz housing, tungsten electrodes and a variety of gasses that get stimulated by the high-voltage electric energy passing between the two electrodes. Despite their popular name, HIDs use a metal-halide blend and count on xenon gas only during start-up. That’s the reason one of the key issues with HID lighting fixtures is the quantity of time necessary for the gasses inside to attain their operating heat and provide sufficient light. The procedure of lightning up HID bulbs happens in three steps: first comes the ignition period, whenever a high voltage pulse produces a spark that ionizes the xenon gas and creates a tunnel of current between electrodes, then the temp in the light bulb increases quickly vaporizing the metallic salts which decrease the resistance between the two electrodes; eventually, the ballast switches to constant procedure delivering the lamp a continuous amount of power, so the electric arc won’t flicker. Pluses? First and foremost, it is important to note that a xenon headlight is a lot more efficient than halogen headlights especially when it pertains to the amount of light produced. Naturally, this is considered a significant setback, especially from the real viewpoint of inbound traffic, if the viewpoint of lighting isn’t properly configured (generally when aftermarket products are installed in the wrong manner or using headlight situations which were not made for HIDs). According to official stats, xenon light produces 3000 lumens and 90 mcd/m2, while a halogen light produces 1400 lumens and 30 mcd/m2. 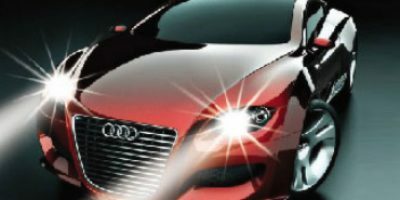 As a matter of fact, xenon lights have become available in several sizes and variations slowly but surely, precisely to be utilized on numerous kinds of cars. Another big plus is that xenon lighting has a fairly long lifespan, exceeding the main one of halogen lighting fixtures: estimates are pointing to a life of around 2,000 hours in normal conditions. Efficiency might also be another consideration why you should pick HID bulbs when compared to halogen bulbs. They might take more time to kickstart into action, but after they’ve reached operating temperature, they’ll actually use less power than standard bulbs. This means you will see a somewhat smaller fill on the alternator which won’t require more engine unit torque to maintain the electricity demand. However, you’ll scarcely see any difference in petrol use (maybe like one liquid ounce each hour) but it’s nice to learn if you are a “greenhead”. The motor vehicle industry has changed a lot, and that’s for sure. Along with it, headlamps have attained another level of sophistication and, after carmakers strongly examined just how halogen or HID headlights impact their models, they turned to other models: LEDs. At least in some recoverable format, LEDs seem to be the perfect solution for mass-produced autos, but there are also several setbacks that can change the world’s point of view over this kind of technology. The working rule of LED is quite hard to describe, but in brief words, they count on negative electrons moving against positive “holes” across a semiconductor. Whenever a free electron comes into a gap that rests on less energy level, it’ll lose its energy which is released as a photon (the littlest small fraction of light) in an activity called electroluminescence. Multiply this technique by a thousand of that period per second and you have a continuing smart light being emitted from something about 2 mm huge – a (LED). The main feature of LED headlights is the fact that they need a very low capacity of power to work in comparison to classic halogen lights. LEDs are for instance applied in Toyota Prius models and on several other hybrids which electricity plays an integral role – not for the headlights. The first creation units were found on the 2004 Audi R8. Generally speaking, LED headlight bulbs are stacked among the HID and halogen bulbs regarding their luminescence, but they provide much-focused rays and can even be played with to create different shapes. Additionally, due to their small size, LEDs enable great manipulation, with manufacturers being able to create all types of shapes and assemblies that would properly match their models, so forget about unappealing dome reflectors. A headlight, also known as a headlamp, is a light that is installed on the front part of a vehicle, such as a car, van, or even a pickup truck. It has a reflector and a unique zoom lens. 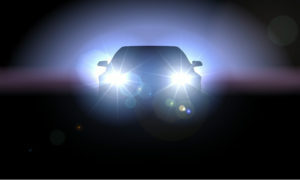 The purpose of a headlight is to light the street ahead so that the driver can easily see it even under dark conditions. 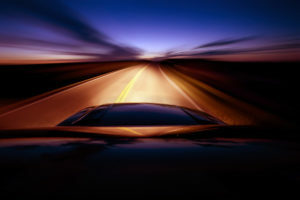 The word “headlight” could also be used to make reference to the laser beam that is cast by the headlight or headlamp. A headlight must have the ability to light up the highway properly ahead of the vehicle even when it is dark, cloudy weather and other situations where responsiveness can be low. The headlight should also not result in an intense glare or cause permanent or non-permanent blindness to motorists of vehicles that are getting close to and from the opposite side of the street. Headlights were first introduced in the 1880s. The headlamps of the past were fueled by acetylene or oil. Electric headlights arrived in 1898. The Electrical Vehicle Company of Hartford provided headlights as optional equipment for the Columbia Electric Car. The standardized seven-inch circular closed beam headlight came in 1940. This standardized headlight became a requirement of the vehicles in America, and it was popularly found in other countries as well, such as Australia, Japan, and Britain. Perhaps one of the most basic things to consider when buying car headlights is if the model number meets the requirements of your car. Buyers must ensure that the headlights are also permitted for legal reasons, safe, and appropriate if indeed they desire to travel without restrictions or inconveniences. To establish the right headlights for a vehicle, buyers may use the make, model, and year of manufacture or a specific part number. Ensuring the compatibility of the bulb number means that the headlights will fit the vehicle properly, making them easy to set up. In addition, customers should ensure that the headlights are legal for use on their highways, and not designed only for the screen. For instance, buyers cannot simply replace the light bulbs in a halogen headlight with HID light bulbs. Instead, they must upgrade the complete headlight and ensure that it carries an e-mark certifying its compliance with the required standards. Some vehicles may be fitted with adaptive front lamps systems (AFS), which have safety benefits. AFS can be a smart lamp system which is offered in a few car models. For traditional systems, the motorist adjusts manually the brightness of the lights, however, for an AFS; your personal computer will handle each and every adjustment automatically. An automobile with an AFS can both manage the brightness of the headlights and angle they illuminate curved roads and junctions to improve visibility for motorists. Any new headlights should be appropriate for the car’s AFS system if it’s present. Both HID and LED headlights may need self-leveling features for protection reasons. Whenever a motor car goes over a bump, the headlights point upwards briefly and make a blinking effect for other motorists. Cars with self-leveling lights have sensors to identify this kind of movement and carefully keep the car’s lights trained on the highway. This feature may or might not exactly be built-into an AFS feature. Check your automobile owner’s manual for the positioning of the headlight vertical and horizontal adjusting screws. Notice there’s a notable difference between your adjusting screws and the screws or fasteners that contain the headlights set up. Look for a level surface in front of a storage door or wall structure with 25 feet or even more of space. Tip: For a less strenuous time, try doing the positioning at night or when it is dark. Park the vehicle near the wall structure and switch the headlights on low beam. Backup in a straight line so the vehicle’s front reaches the previously measured 25-ft line. Determine if each headlight’s brightest location is two inches wide below and merely to the right of the marked horizontal and vertical headlight centerlines. If they are not, transform the vertical or horizontal modifying screws or both, as needed, to align them properly. In the event that you aren’t inclined to upgrade to more complex headlight bulbs such as LED’s and HID’s…you must be craving to know which are the right halogen headlight bulbs you should get for your car. It’s likely that your vehicles manufacturing company had fitted your car with halogen bulbs. If this is the situation, you’ll want to replace them with other halogen lights that preferably, will be brighter and go on a little much longer. Overall, halogen lights have the second shortest lifetime. They don’t shine as smart as HID’s, which enables them last longer. In the event that you drive frequently during the night, you will want bulbs that can light a substantial amount of space ahead. 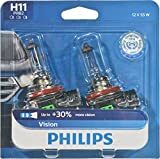 Quite often, halogen light bulbs not only have a pretty notable yellowish tint to them but are also the most affordable headlight bulbs in the market currently. We have come up with a set of the 10 best headlight bulbs that are halogen. You’ll notice Sylvania gets to control the market significantly and other brands like Phillips and GE virtually make up almost all of it. 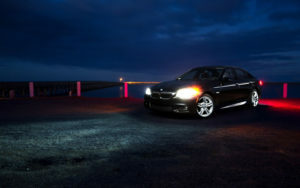 Buying new car headlights is a superb way to boost safety and even improve the look of the vehicle. There are many selections when it comes to headlights. In circumstances of design, car headlights might be either composite or covered beam, which influences whether the complete unit or a bulb needs to be replaced just. Car headlights could use one bulb for high and low beams or two separate bulbs. In addition, the headlights could use reflector or projector technology, where projector technology produces a brighter and much more focused beam. Other things to consider will be the types of light bulb used for the headlights. Car headlights might use halogen, HID, or LED lights, each has advantages and disadvantages as earlier discussed. Customers need to consider the legal requirements for just about any headlights that they purchase and the systems found in the automobile, such as an AFS. Finally, when visiting abroad, buyers might want to spend money on the best halogen headlight bulbs and converter sets that conform to the headlights’ routine for driving far away. We hope you enjoyed reading halogen headlight bulb reviews. If you have any questions please post them in the comments below and we will get back to you!